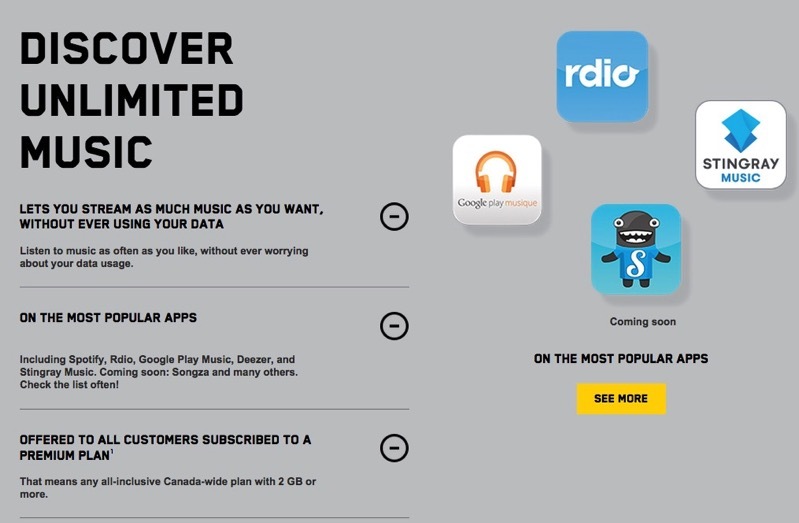 Videotron’s Unlimited Music service for mobile subscribers launched in late August and since then it has been accused of violating net neutrality, as data used does not count against customer data buckets. “In the present case, Videotron is being accused of everything from blocking competition in the music streaming business, to trying to control access to music content, to creating a two-tiered Internet, to trying to marginalize a part of its own customer base,” the company said, adding, “The truth is much less conspiratorial. Other organizations have also opposed Videotron’s music service, such as a group of Canadian radio operators with online music streams; Eastlink Wireless; and Benjamin Klass (he started the mobile TV challenge), all filing interventions with the CRTC. Meanwhile the The Canadian Network Operators Consortium (CNOC), which represents independent ISPs, similarly supported Videotron, noting in its filing providers should be able to “freely package services in innovative ways that respond to market trends and consumer demand.” However, CNOC did not support Videotron’s move to have music services opt-in, as net neutrality advocates say this favours small groups able to participate and excludes others. Videotron, which has 700,000 wireless subscribers, will soon be sent a list of requests from the CRTC for more information on its music service, while also accept final filings from participants, with the submission deadline not set yet.